Devil May Cry 5 quickly shot its way up to my number one anticipated game on the horizon right now, and a lot of it has to do with its flashy debut trailer and the amazing theme song. But according to an interview with its director Hideaki Itsuno (also famous for Dragon's Dogma and Rival Schools), there's going to be substance to go along with all that style. 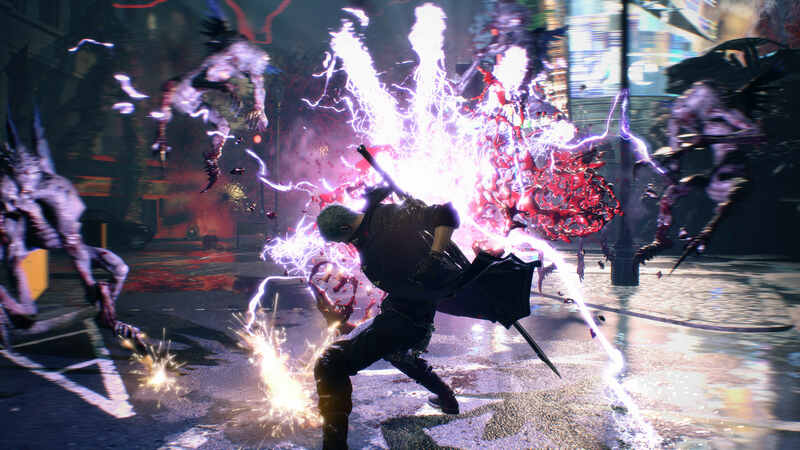 Speaking to Dengeki Online (and translated by the user Sesha at ResetEra), Itsuno confirmed that the game has been in development for four years, "one year before" Devil May Cry 4: Special Edition was released. Itsuno drops a ton of little tidbits: Dante has a beard for a "reason" besides his age, "V," the third playable character likely doesn't use weapons, Kyrie (a major supporting character in DMC4) seems to be involved, and the focus has once again turned back to just demons -- no "third party" of heaven is involved (as has been the case recently with Devil May Cry and with the Bayonetta series, created by some of the same people). The narrative will mostly involve Nero, but Dante and V will play a "big role" and it's going to be an emotional story -- Itsuno even goes so far as to say that people will cry. Tall orders! I don't have as much faith in the crying bit but given that Itsuno also reiterates that action will be the main priority, I'm all in.